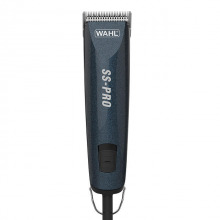 The Wahl SS Pro Clipper is the ultimate in home grooming equipment. 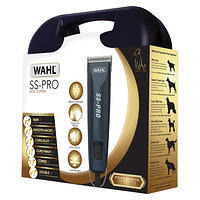 With a number of features that are a step above cheaper pet grooming clipper and will provide much more performance and ease of use. The clipper takes professional A5 type blades, the same as a professional groomer would use, if fact, this clipper would make a great starting clipper for a student groomer. Featuring the latest 'Power Drive' motor this clipper provides quiet, powerful, yet low vibration clipping through any coat type, hence reducing stress levels for both the user and the animal. Weighing just 380g, with a length of 18.5cm and a circumference of only 15.5cm, the mould grips and tapered shape make this a uniquely comfortable product to work with. Cutting at a speed of 3,200 rpm, this dog clipper is supplied with a quick change, precision ground, stainless steel blade cutting to 1.8mm. 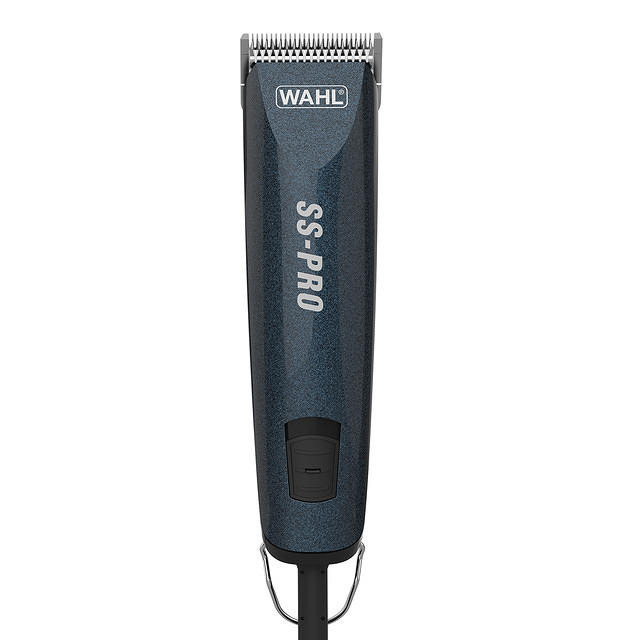 Any A5 clipper blade should be compatible with this clipper and a number of different lengths and widths are available. A stainless steel comb set ay alternatively be used to provide different lengths of cut, instead of using different blades.